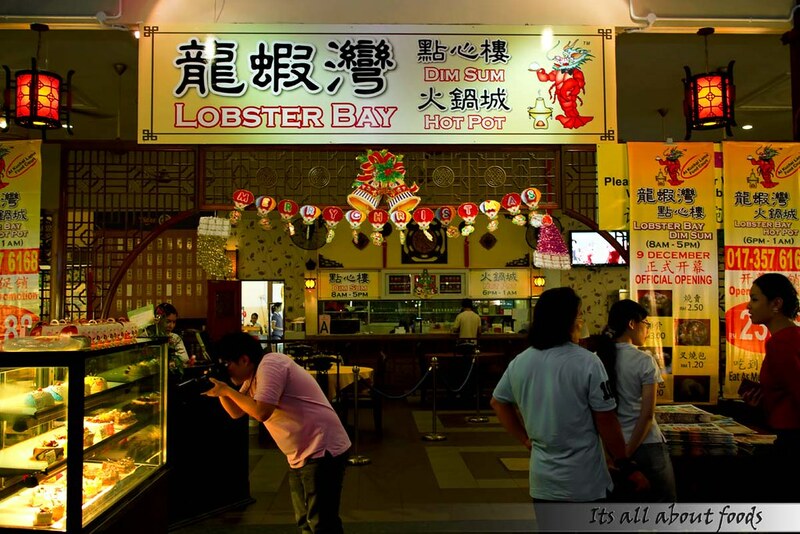 Stepping into a food court, we normally come across varieties of hawker food at affordable price- Curry Mee, Hokkien Mee, Bak Kut Teh, Yong Tau Fu, O Chien, Steamed Rice with Soup, Satay, Wantan Mee…and the list goes on. 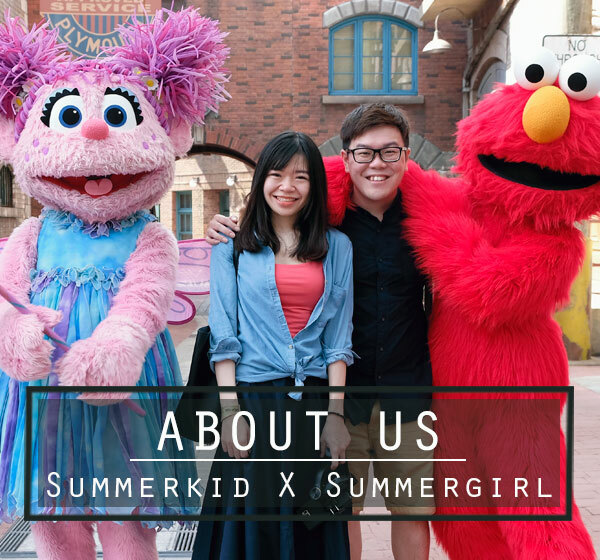 But at Kuchai Lama Food Court (KLFC) in Taman OUG Square, you will meet something out-of-the-box as you walk around the food court – a dim sum & hot pot restaurant. Age less than one month, this Dim Sum & Hot Pot Restaurant hidden inside the food court is a new good place to venture into. 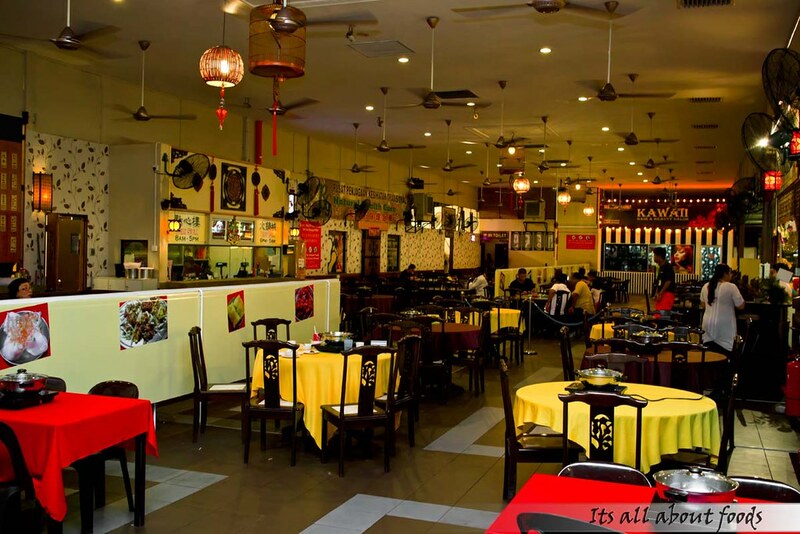 Opened from 8am across 1am daily, the restaurant serves dim sum from 8am to 5pm, while buffet steamboat is served from 6pm till 1am. 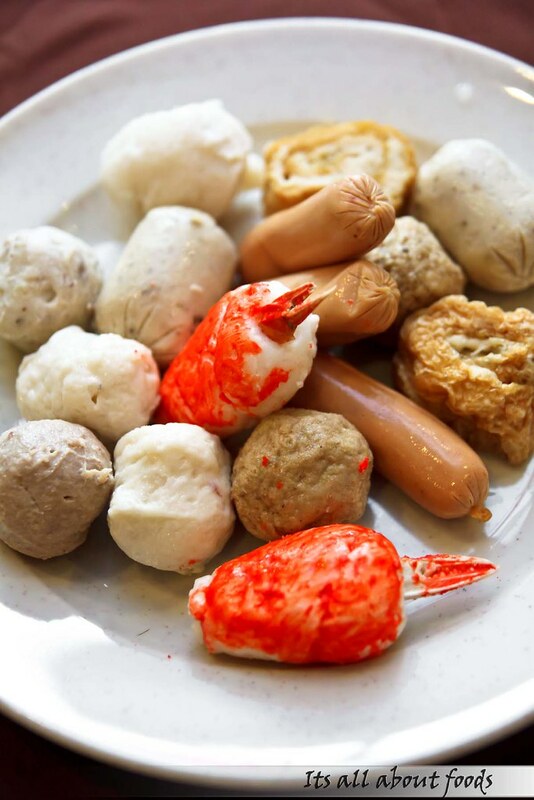 The steamboat buffet is now having a promotional price of RM23.88 (RM28.90 for normal) and for this price, you get to enjoy a wide variety of steamboat ingredients, cooked food, drinks, dim sum of the day and desserts. 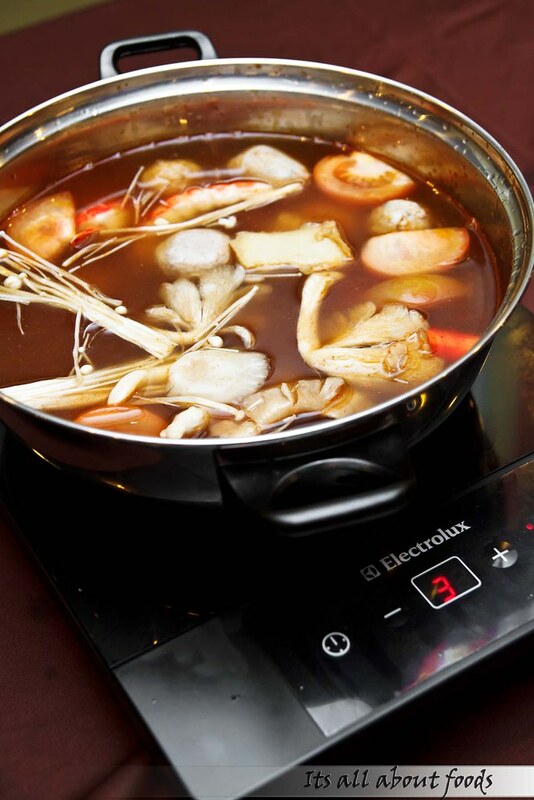 Thanks to the restaurant’s owners, we got the chance to try out the steamboat last week. We started the meal by piling up the plates with seafood like scallops, crab, cuttlefish, prawns, mussels, lala..etc..
..Yong tau fu, fried wanton, fried bean curd, etc. We found the minced meat roll with seaweed and minced meat with ham slices rather interesting. Shaped like sushi roll. Tasty too. 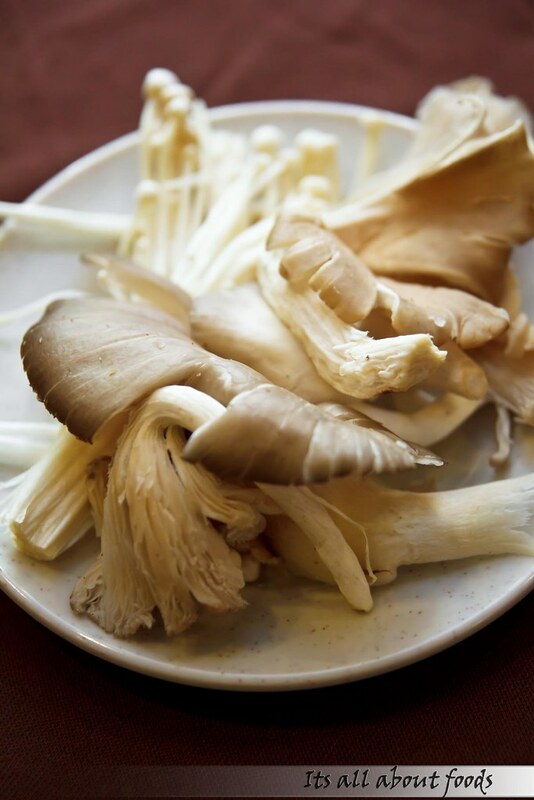 We hold the plates heavily flooded with raw ingredients steadily to our place and transferred them into the soup pot. We tried out the miso soup and tom yam soup, both taste rather mild at first, but as we threw in more seafoods and vegetables, the soup brimmed with flavours towards the ends. While waiting for the soup to boil, we grabbed some cooked food to fill the hungry tummy. 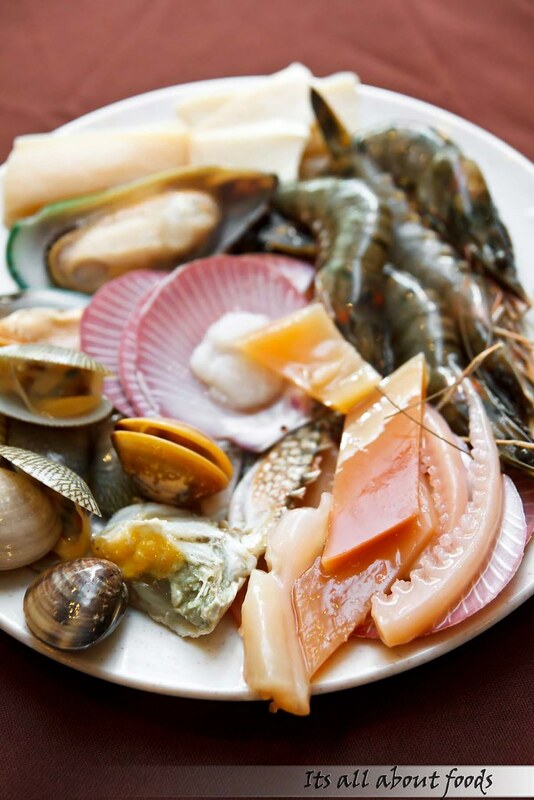 Lobster Bay is not stingy with the cooked food, and each dish is carefully handled. 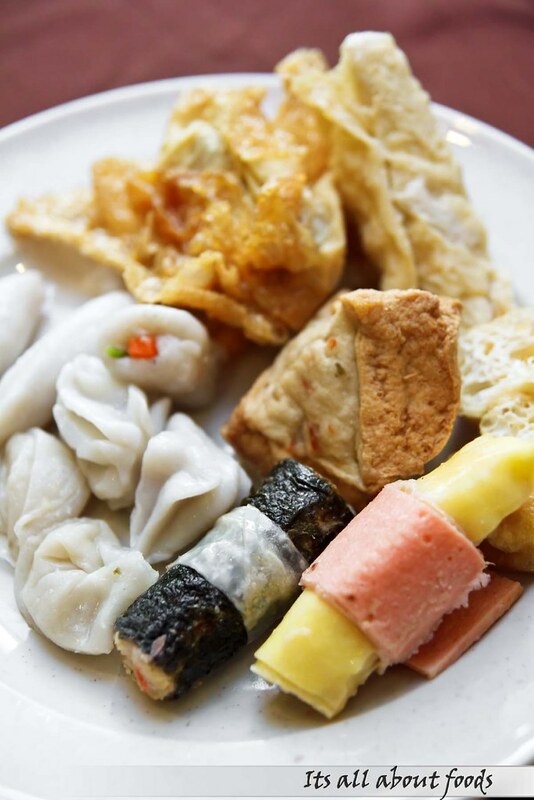 16 to 18 types of cooked food is served in the buffet, and the varieties rotate every day. 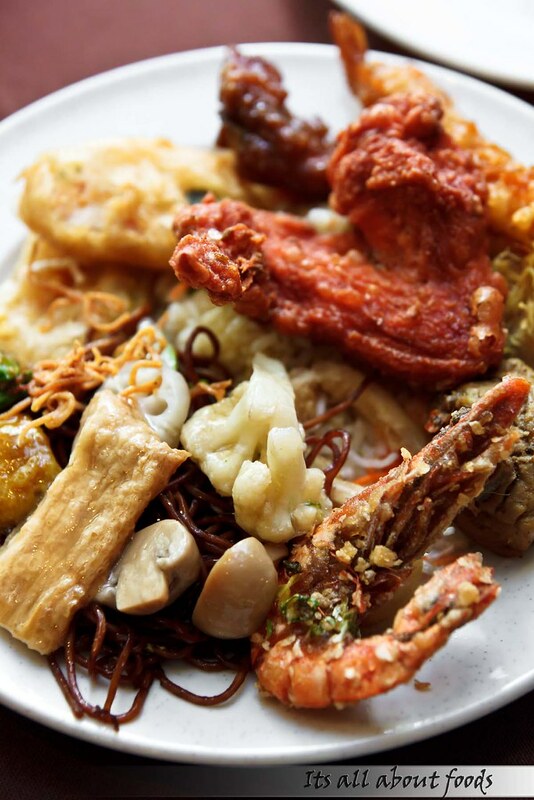 Among them are fried chicken, prawn tempuras, stir fried vege, deep fried sweet potato, stir fried emperor noodles, lobster fried rice, mixed vegetables with beancurd, and curry chicken. Fried chicken wing is our favourite, finger licking good. 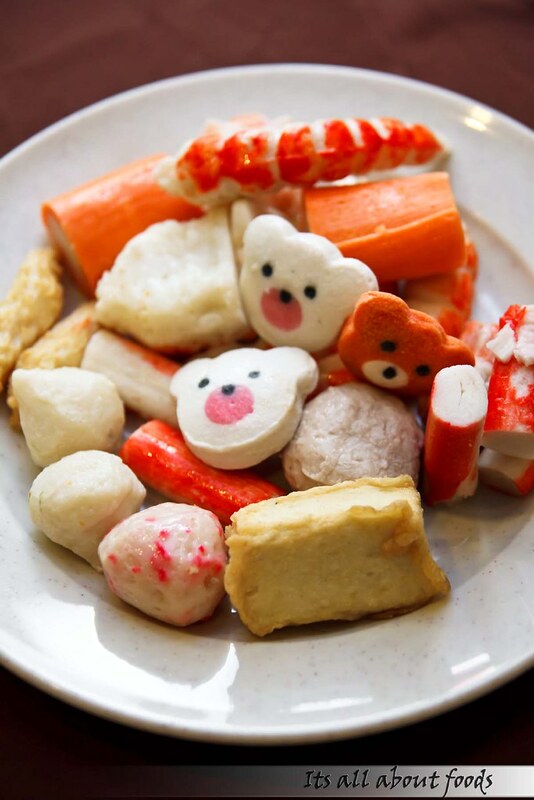 Dim sum of the day. 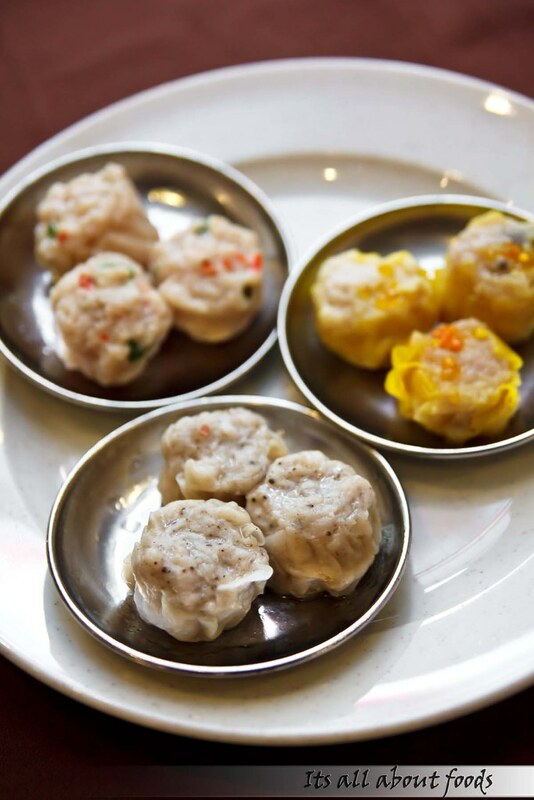 You may find siu mai, siu bao and some other deep fried dim sum items at the dim sum counter, but varieties are subject to availability. 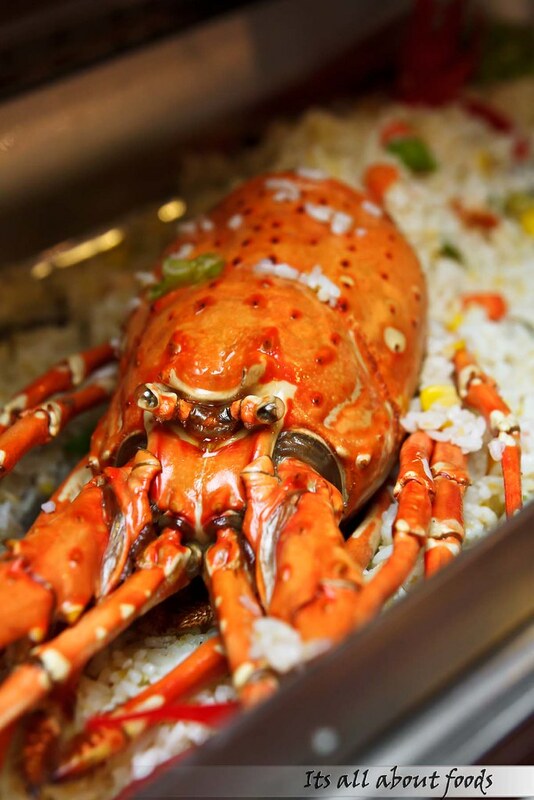 Lobster fried rice- the signature dish. No joke, there’s real lobster meat within the fried rice. It is available daily, so don’t worry that you might not get to try it out on your visit. 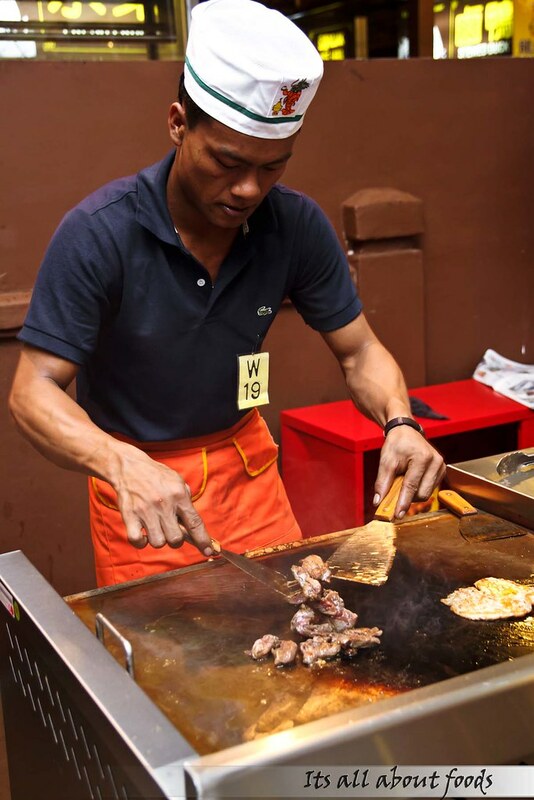 Drop by at the BBQ counter for french fries, hot dogs, fried egg, grilled chicken, grilled lamb and some other grilled items. Save some space for their desserts, as they are all home made tarts, cakes, and jelly. Not superb, but decent enough. The chocolate fountain is a must try, for the chocolate sauce is handmade by the lady boss using pure dark chocolate. 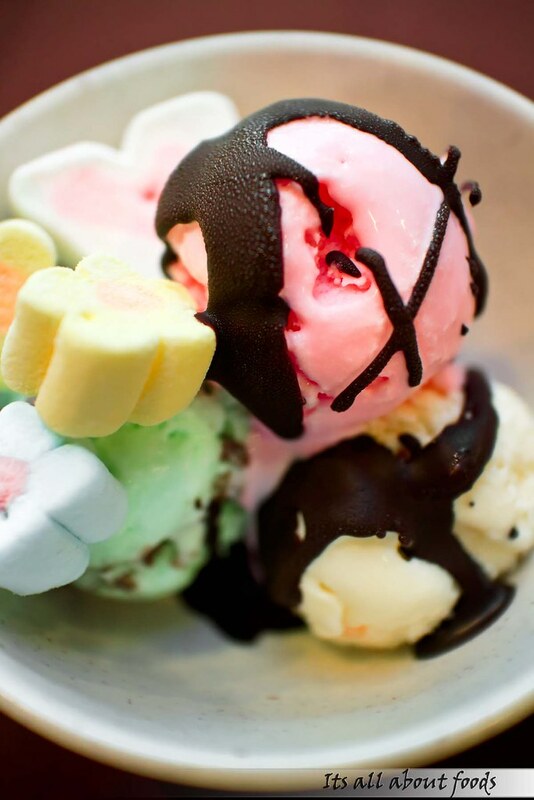 Sinfully delicious when dipping with fruits and marshmallows, or as ice cream toppings. After a full meal, we visited their cake stall just outside the restaurant, which is also managed by Lobster Bay. You can pack home some fresh and fluffy buns as tomorrow’s breakfast, all handmade daily using quality ingredients. 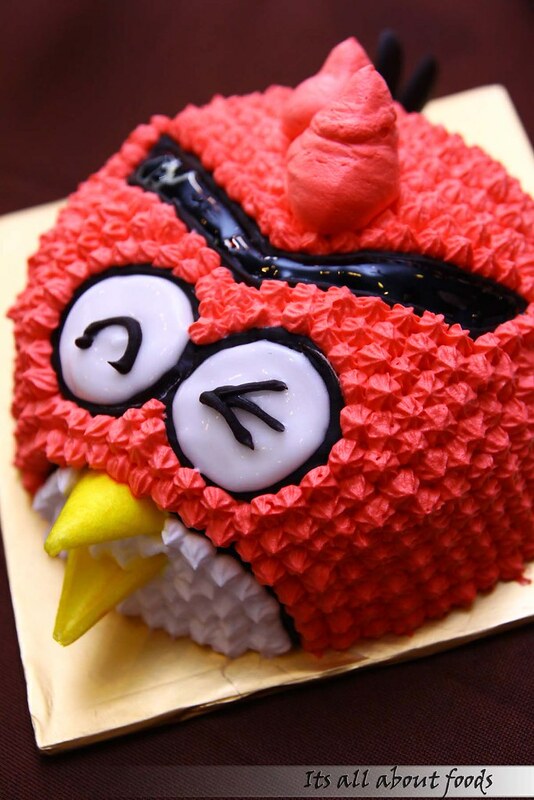 Also, you can find adorable cakes crafted in cute characters such as Doraemon and Angry Birds. Kids will like them. This place really sucked big time. I went there tonight and promptly left. There were no fresh items and the place was dead empty. This is why invited reviews never work, it doesn’t reflect the actual paying customers’ experience.